Representative Avery Bourne, (R-Raymond) co-sponsored House Bill 771, which was unanimously approved by the Illinois House of Representatives on Thursday. The bill allows volunteer firefighters to purchase tires through at a discounted rate – the same price as the State’s purchasing contract. Over 70% of the firefighters in Illinois are volunteer firefighters, the vast majority of which do so at a personal cost. Many volunteers use their private vehicles to respond to emergencies for the benefit of their communities. 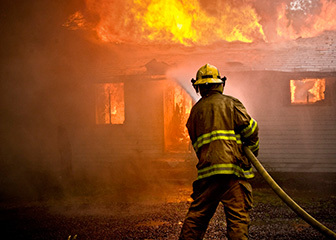 House Bill 771 is an effort to reduce the personal cost of the state’s volunteer firefighters. Under this bill, if authorized by the fire chief of the fire department, any regularly enrolled volunteer firefighter may purchase 4 vehicle tires every 3 years through their fire department or municipality’s joint purchasing contract. This bill awaits passage in the Senate.